New federal protections for transgender Canadians are about to become law after a strong show of support for the landmark legislation in the Red Chamber. Sixty-seven of the 81 senators in attendance voted in favour of Bill C-16 Thursday evening, finally disposing of a bill that has been before Parliament for more than a year. The legislation overwhemlingly passed the House of Commons last November, and now awaits royal assent. The bill updates the Canadian Human Rights Act and the Criminal Code to include the terms "gender identity" and "gender expression." The legislation also makes it illegal to discriminate on the basis of gender identity or expression. It would also extend hate speech laws to include the two terms, and make it a hate crime to target someone for being transgender. Critically, the bill also amends the sentencing principles section of the code so that a person's gender identity or expression can be considered an aggravating circumstance by a judge during sentencing. 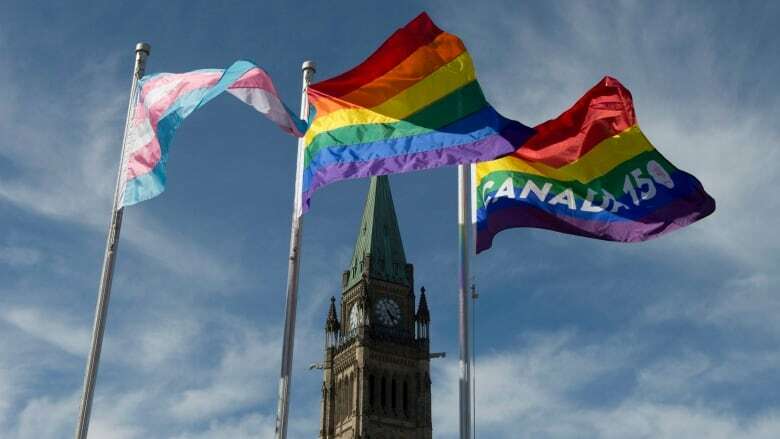 "This bill is not only about the protections it provides, but also the message that Parliament is delivering to all Canadians about the need to treat everybody equally," Independent Alberta Senator Grant Mitchell, a longtime advocate for trans rights, said after the bill's passage. "Transgender and gender-diverse people deserve to know that they are welcome and accepted, embraced and protected, and that in Canada they are free to be their true selves." A smattering of Conservative senators voted against the legislation, including Manitoba Senator Don Plett. who has railed against it as a threat to free speech. Plett, who has led the charge against similar legislation in the past, was fearful that the bill would force him to use gender neutral pronouns when addressing trans people, a fear supporters of the bill say is unfounded. There were also lingering concerns that the term "gender expression" was too vaguely defined in the legislation, and an oft-repeated contention — a largely refuted myth — that the legislation will allow men to pose as women to attack them in bathrooms. "As a woman, why you would support Bill C-16 when feminists have fought for so many years to protect women from the violence perpetrated against them by men. This will allow men to go into women's change rooms and bathrooms across the country," Conservative Ontario Senator Lynn Beyak said before voting against the bill. The bill was vigorously debated at the Senate's legal and constitutional affairs committee, where senators heard from trans people who said the legislation will protect their vulnerable community but also from some, including feminists, who said the legislation would be a threat to spaces reserved for what they call "female-born women."